Oh how pretty…and the dishcloths are very manly indeed. 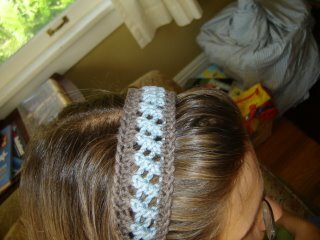 I’ve been making cotton chenille washcloths right now. I can’t carry around a big wool sweater for knitting on hot summer days. Your dish cloths are great looking! 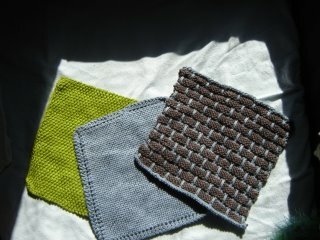 I love hand knit cotton dish cloths and recommend them as a first project all the time. Great manly dishcloths indeed! And I really like the headband.